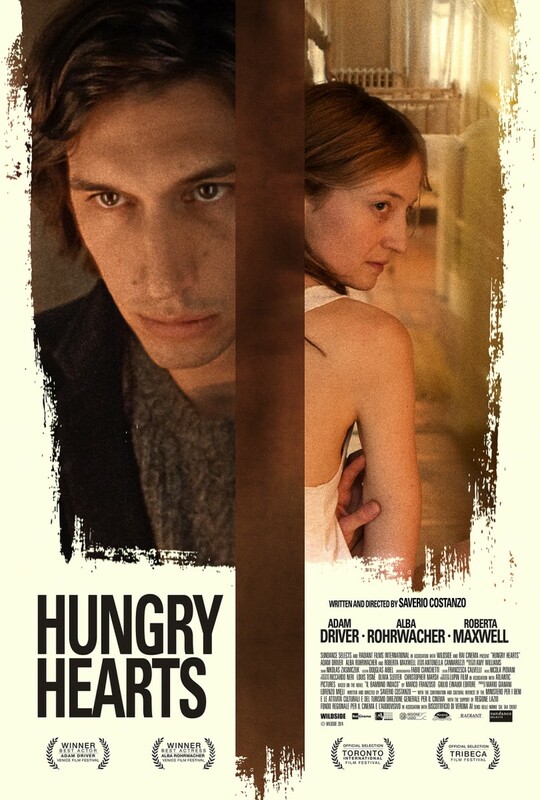 Written and directed by Saverio Costanzo, Adam Driver and Alba Rohrwacher star as Jude and Mina, in Hungry Hearts, a drama which has the slow-burning stamina of Rosemary’s Baby. A young couple, just starting out, fawn over each other and are blissfully happy. Once a child comes into the picture, the mother slowly changes and the father must determine what’s best for the child. The opening scene is an adorable meet-cute in the bathroom of a Chinese restaurant, in one long, mesmerizing shot and reflect how the characters are completely in-sync. As the film progresses, different camera lenses underline the distortion in perspective of each of the characters. It’s quite effective and very unnerving. The intentions of a mother are not something that are easily questioned. What makes this story strong is how that bias keeps with you. Just like Jude, I wanted Mina to be misunderstood. I wanted to believe she knew what’s best for her child. But it keep nagging me. I just couldn’t shake the doubt. Adam Driver is amazing and heart-wrenching as the terrified and desperate father. The pain behind his eyes at not only seeing his child suffer, but seeing his wife suffer, was heart-breaking. 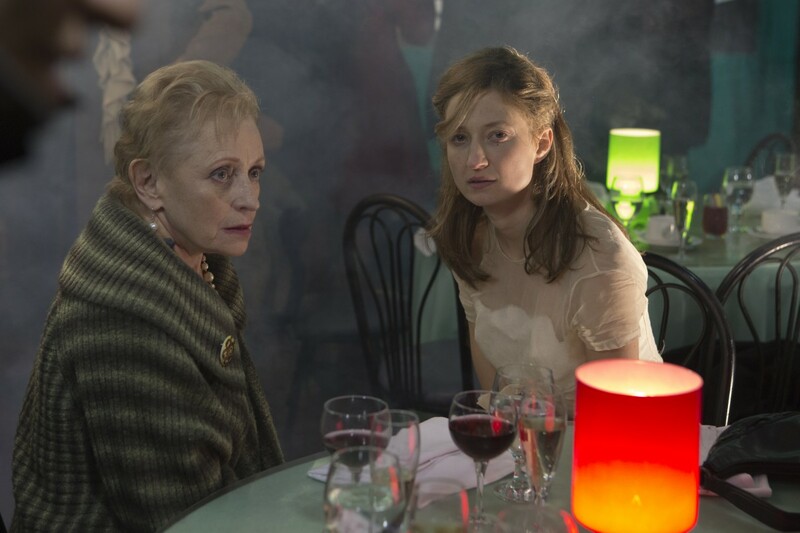 Alba Rohrwacher is warm, yet cold at the same time. Her body gets progressively thinner and adds another layer to an already troubled mother. This movie will lose something if you’re not watching it 100% and really follow these characters. Make sure you see it in the theater or with complete attention at home. You’re gonna love it or hate it, there’s not much room in between. 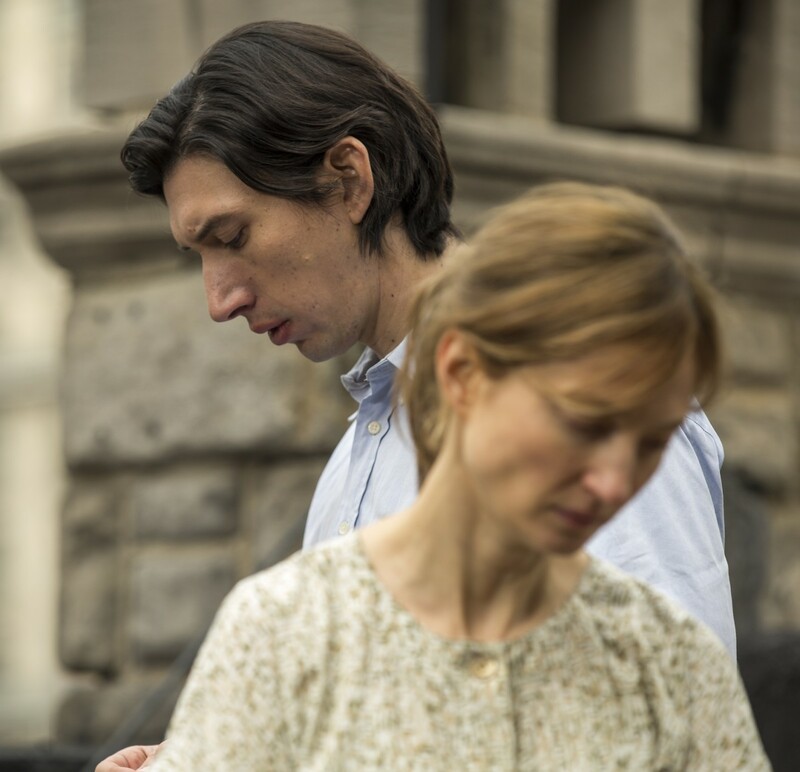 This entry was posted in Melissa, Reviews, Tribeca Film Festival and tagged adam driver, Alba Rohrwacher, hungry hearts, ifc films, tribeca by Melissa Hanson. Bookmark the permalink.